This Stake blog celebrated its four-year anniversary on the 23rd of August. Since its inception, there have been incredible posts written by the members of our community. Because this was a new endeavor, none of us on the original committee knew what would come of this blog or if it would even last. Well, here it is, still going strong and providing a message each week that is uplifting and that allows us to get to know each other's stories a little better. To celebrate the past four years, for four weeks, the blog will feature a post from each of the years it has been online. I love this post written in 2016 by Jaymi Cox because it reminds me to heed the promptings from the Lord and to trust that He will provide the words and/or actions needed to comfort His children. When you live in a small town and someone passes away, the whole community is affected. It was probably someone you are related to, someone you went to church with, a neighbor, a friend, a coworker, or someone you’ve known since you were a kid. Let’s face it. If you’re from St. Johns, you know a lot of people. Except for the first six years of my marriage, I have lived here my whole life. Peter and I lived in Tucson after getting married. I will never forget how worried I was about dying while we lived there. The fear was due to this feeling I had that if I died, no one would go to my funeral. OK, well maybe my Bishop and his wife, my visiting teachers (maybe), our home teachers (who came over one time in the six years we lived there), or possibly the Relief Society President if she didn’t have a prior engagement. It seems silly to think about now, but I was really worried about having no one show up! I have always loved this little town. I never wanted to leave! Mostly because of the people who live in our town. I really love the people here. There are so many people in this town who have impacted my life. Looking back, it was God doing his work through others. It wasn’t so obvious back then, but I was later taught this principle in an amazing way. There is a family in town who lost their son in a motorcycle accident. The mother of this family is a relative of mine, but while growing up I didn’t have the privilege of knowing her very well. I attended the funeral, but I tried to keep my distance. I just didn’t know what to say or do. After the funeral, it seemed like I was running into her more than ever, but I still tried to keep my distance. Many of my prayers during that time were definitely in her behalf, but I was asking Him to comfort her. One morning after dropping my three oldest children off at school, I found myself at the stop sign facing the cemetery. You know the one right in front of the City yard. 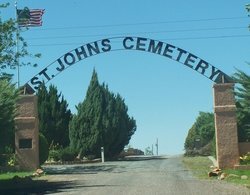 Well, instead of making my normal left turn to go home, I went straight up to the cemetery. I remember my three-year-old son, who was in the back seat, asking me where I was going. I told him “I don’t know; let’s see.” When I got to the top of the hill, I saw her. My devastated relative laying across the grave of her son. Hoping that I hadn’t been seen (not likely since I was in my diesel SUV), I quickly turned around and started back down the hill. I instantly started questioning God. I knew he sent me up there, but I wasn’t what she needed. I couldn’t help her, and I didn’t know what to say! I will never deny that my SUV turned itself around. Before I knew it, up the hill back to the cemetery I went. I was pleading with God, “If you’re going to send me, tell me what to say!” When I got to her, I picked her up off the ground and just held her. Then the words came to me! I said, “God brought me to you.” I had never felt anything more powerful in my life! From that moment, my testimony of our Heavenly Father’s love for his children was set in stone. I am grateful every day that I was born and raised in the “Town of Friendly Neighbors”. People matter here. People are remembered when they pass on. Living in this town gives me confidence that I matter in this big world. We have a loving and caring Father in Heaven. He knows each of us and is aware of our needs. We are his instruments. We are one of the most important ways He shares His love, His service, and His blessings. When I look back, I see all the times God sent someone to help me. I live in a town of God’s instruments!